Most of the time we focus so much on the female lead, her character growth throughout the series, and her romance with the male lead, that we often forget that there are also supporting female leads that deserve some attention as well. Whether she’s the one who is fighting with the FL for the ML, having an unrequited love towards ML or someone else, or has her own agenda in the drama, you can’t deny that sometimes she just outshines the FL in one way or another. Personally, there have been many times where I truly rooted for the second female lead more than the FL because I saw more potential from her and I liked her character more. Unfortunately, not all supporting female leads get their deserved happy ending. But, regardless, here’s a list of supporting female leads that I personally rooted for and really liked because of their badass attitude, selfless love, and unwavering convictions. Lin Yue Ru (Ady An Yi Xuan), Chinese Paladin Lin Yue Ru is a spoiled and obnoxious rich girl from Suzhou that meets Li Xiao Yao (Hu Ge) and Zhao Ling Er (Liu Yi Fei) by accident. Although she and Xiao Yao both initially dislike each other, they start to get along because of their love of martial arts and when they begin to journey together to find Ling Er. As she spends more time with Xiao Yao, Yue Ru starts to fall in love with him. Her love for him deepens the more she’s with him, and this leads her to learn to become a better and selfless person. Even though she knows that Xiao Yao truly loves Ling Er, she decides that his happiness is more important and does her best to support him (even to the extent of helping him with his relationship with Ling Er). Although she didn’t get the happy ending she deserved, Yue Ru’s sacrifice for Xiao Yao and Ling Er is probably one of the most touching scenes of the drama because of it symbolizes just how much she loved Xiao Yao. 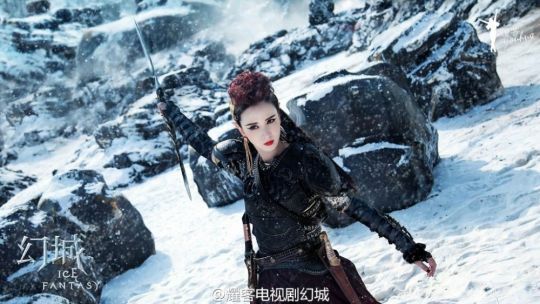 Born as a descendant of the Goddess Nuwa, Zi Xuan had the responsibility to protect the people of Nanzhao. But, despite this, she chose love over her duties and gets entangled with Xu Chang Qing (Wallace Huo) for three lifetimes. Her unwavering feelings for him gets her in trouble with her tribe because she neglects her duties and responsibilities. 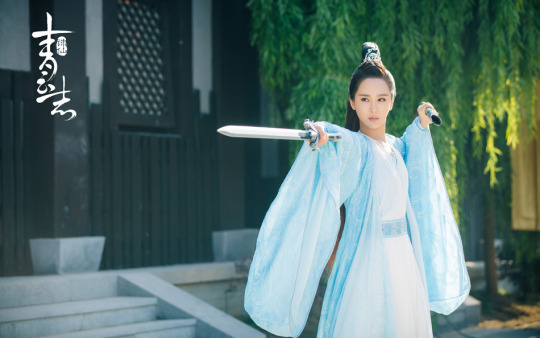 But, even so, Zi Xuan decides helps Chang Qing, Jing Tian, and the group as they try to defeat Evil Sword Immortal. In the end, Zi Xuan and Chang Qing both choose to separate for the greater good, as they know that they are bound to their duties. Chang Qing becomes the leader for the Mt. Shu Sect, following his masters’ wishes, and Zi Xuan devotes herself to protect the people of Nanzhao. Known as the most controversial Dong Fang Bu Bai in all of Wuxia history, Joe Chen’s portrayal of this antagonistic figure was truly outstanding. Not because it was “different”, but because she portrayed DFBB beautifully and in a way where you don’t hate the character, but really feel sympathy towards them. Initially a man who castrates himself in order learn the Sunflower Manual, a renowned martial arts book, Swordsman 2013’s version of DFBB is female and completely different from the original. 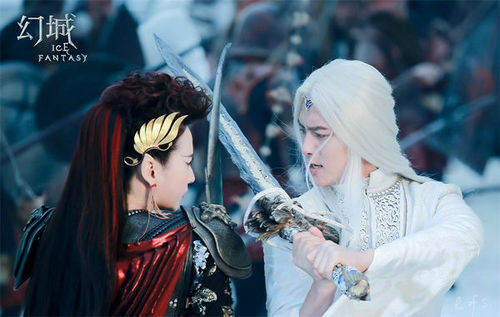 This DFBB not only is female that pretends to be a man and rules over the Sun Moon Holy Cult, but she also has a short-lived and passionate romance with Linghu Chong (Wallace Huo). Although portrayed as ambitious and cruel, DFBB’s love for Linghu Chong leads her to slowly let go of her own hatred. In the end, she decides to sacrifice herself to save Ren Ying Ying (Yuan Shan Shan), Linghu Chong’s true love. Talented, beautiful, and with a cold exterior, Lu Xue Qi is one of the top disciples in the Qing Yun Sect. After her master saves her and brings her to the Qing Yun Sect as a disciple, Xue Qi dedicates herself to cultivation. However, her beautiful features make her the most sought after woman in the sect, garnering her many admirers. But she rejects everyone to focus on training and cultivation. Towards others, she is cold and indifferent. But Zhang Xiao Fan’s (Li Yi Feng) warm and sincere personality starts to attract her attention, and she eventually develops feelings for him. However, she is bound to her duty, as a member of Qing Yun Sect, to fight against Xiao Fan when he turns against them. But, even so, she chooses to believe in Xiao Fan and aids him in trying to save Bi Yao (Zhao Li Ying). The unruly and stubborn princess of the Fire Tribe. She is a fierce warrior who displays brute strength and has no fear of her enemies. 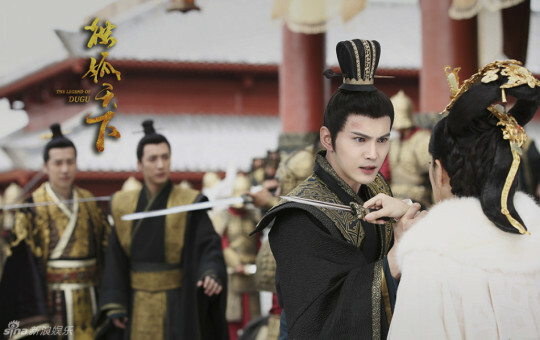 Although regarded a ruthless person, Yan Da develops a soft spot for Ying Kong Shi (Ma Tian Yu). Even though they are enemies, she falls in love with him and is willing to sacrifice anything for him. But Ying Kong Shi’s determination to become the Ice King and love for his brother makes him unable to accept Yan Da’s love for him. In the end, Yan Da makes the ultimate sacrifice and gives up her life for him. Princess of the Beast tribe who is arrogant, but has a good and kind heart. When she is saved by Chen Chang Sheng (Luhan), she does her best to please him so that he’ll accept her as his disciple. As his disciple, she openly defends him and the Guojiao Academy against anyone who goes against them. But this admiration slowly turns into love, as she realizes that she has developed feelings for him. However, she knows that Chang Sheng is completely devoted and loyal to only Xu You Rong (Guli Nezha), so she decides to silently protect and support him. And, in order to save him, she becomes the Priestess of the Beast tribe. In doing so, she gives up her feelings and memories of Chang Sheng and eventually forgets everything about him. Yan Zhi is the princess of the Ghost Tribe and youngest out of Qing Cang’s three children. 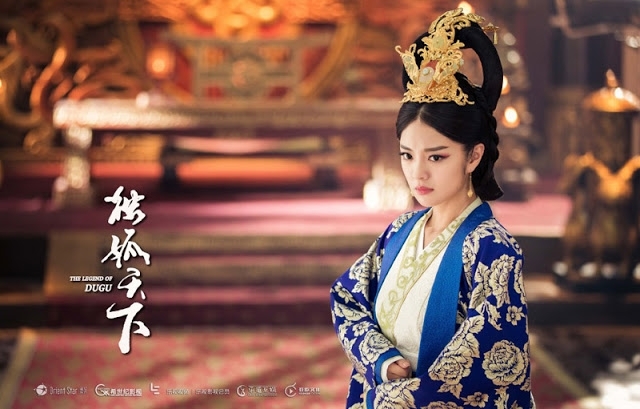 Unlike her power-hungry father and domineering brothers, Yan Zhi has an innocent and kind heart. All she seeks is for her family to stop fighting and for the Ghost Tribe to be at peace. However, the constant conflict within the Ghost Tribe and their thirst for power eventually forces her escape into the Mortal Realm to seek a quiet life. Living in the Mortal Realm, she meets Zi Lan (Liu Rui Lin) who she falls in love with. Because the two are on opposing sides, they decide to let go of their feelings and go their own separate ways. After the fall of the Ghost Tribe, Yan Zhi decides to raise Li Jing’s (Zhang Bin Bin) daughter as her own in the Mortal Realm. Huo Xuan is Rong Zhi’s (Song Wei Long) best friend and closest confidant. Although her feelings are not reciprocated, Huo Xuan has been in love with Rong Zhi for many years. And, unlike many women, she openly expresses her feelings and declares herself to be the only woman suited for him. But, even with Rong Zhi’s avoidance of her feelings, they still maintain a good friendship. Aside from being a follower of Rong Zhi, Huo Xuan is a powerful general of Northern Wei. She commands a strong army and holds a lot of military power. Because of this, many ministers are against her due to her female status and are always trying to get rid of her. But Huo Xuan’s strong personality helps her overcome their opposition and, with Rong Zhi’s support, she fights against them. When Rong Zhi marries Liu Chu Yu (Guan Xiao Tong), Huo Xuan becomes slightly jealous, but takes a liking to the newly wedded wife. This is also when she meets the mysterious Gu Huan, a doctor who was saved by her. When Gu Huan expresses his love to her, she immediately rejects him. But when she is betrayed and sentenced to death by the emperor of Northern Wei, Gu Huan saves her and they run away together. On the run and with soldiers chasing after them day by day, Gu Huan never leaves her side and stays with her to nurse her numerous wounds. Huo Xuan finally accepts his feelings for her after seeing his sincere feelings and devotion towards her. But their romance is short-lived when Gu Huan’s real identity is revealed and eventually they both end up killing one another when they know they can no longer run away from reality. 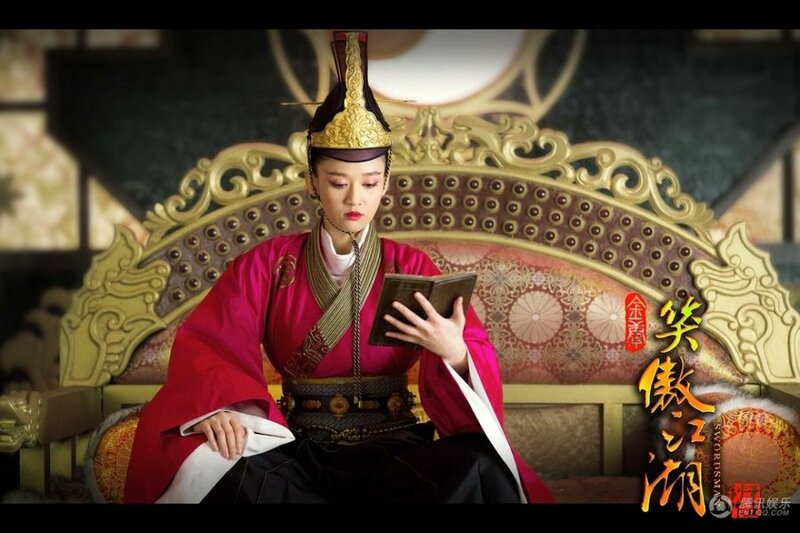 Ruthless and full of ambition, Dugu Ban Ruo has always coveted power to establish her “Dugu Empire”. And, in order to do this, she allies herself with Yuwen Hu (Jeremy Tsui), who she also loves. 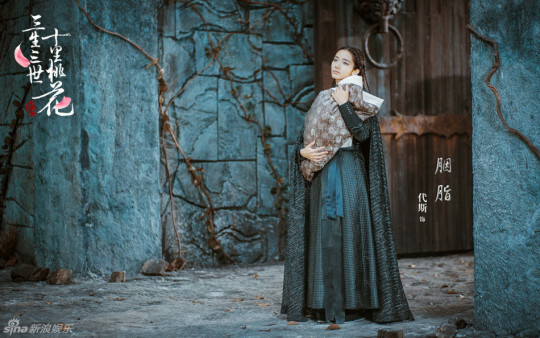 But when she realizes that Yuwen Hu cannot fulfill her wishes and is also at odds with her Dugu family, Ban Ruo immediately cuts off all ties with him, despite breaking her heart in the process, and marries Yuwen Yu (Zou Ting Wei). As Yuwen Yu’s wife, she gets her husband to work alongside her to become the Emperor and Empress, even though he is reluctant. However, Yuwen Yu’s lack of power, makes Ban Ruo turn back to Yuwen Hu and they both continue their affair which eventually leads to her giving birth to their daughter. Out of the three Dugu daughters, Ban Ruo is the most ambitious and ruthless. Compared to Man Tuo’s (Li Yi Xiao) vicious nature and Jialuo’s (Hu Bing Qing) carefree personality, Ban Ruo is farsighted and decisive. She knows what she wants and when she’s decided on it, she will not change her mind. And, in order to get what she wants, she is willing to sacrifice anything (ex. her relationship with Yuwen Hu). However, Ban Ruo’s ending was not happy and she probably died with many regrets (like not being able to be truly be with the one she loved). But even though she was cruel, merciless, and not righteous like Jialuo, Ban Ruo was outstanding because of her strong will and ability to give her all even when she didn’t have much to start with. 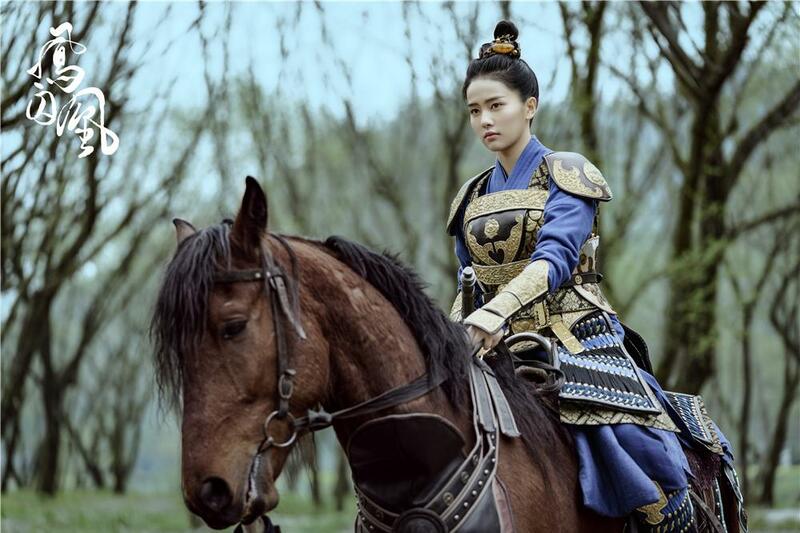 Ye Hong Yu (Zoey Meng Zi Yi), Ever Night A devout follower of Taoism and fearless warrior. Ye Hong Yu serves in the Department of Justice of the Xiling Kingdom and is known as the ‘Taoism Maniac’. With a cold personality and merciless demeanor, she is not one to back down when confronting her enemies. She was initially an enemy of Ning Que’s (Arthur Chen) and wanted to kill him after he injured Long Qing (Kris Sun). But later on, she opens up to Ning Que and the two become good friends, with him somewhat still fearing her because she could kill him at any time. However, he still regards her as ‘the strongest women he’s ever known’ and seeks out her advice and knowledge when planning his revenge. Her friendship with Ning Que helps her learn to be sympathetic towards others and become a more open-minded person. What about you? Who are your favorite supporting actresses? Share with us below! I actually like the Ode to Joy type of female leads. A whole team with different stories. It makes for a richer overall story and less one-dimensional characters. Although there are exceptions, you see that in many single female lead cdramas, they try too hard to convince you how underprivileged the female lead is at first. Her whole family wiped out. She walks uphill everywhere both ways. Mistreated by evil stepsisters, cousins and backstabbing maids. Fortunately she meets one prince charming after another. With the help of self-sacrificing loyal maid or best friend, and a team of prince charmings by her side, she finally conquers the world and becomes the queen or leader. The female lead is so noble and good. As are everyone who is close to her. The villains are uniformly evil and bad with no redeeming value whatsoever. Ensemble cast doesn’t have set up where you have Mary and Gary as your main dish, and all the characters are merely accessories to Mary and Gary. There’s a common variation where Gary is the CEO instead of a royal prince. I love Zi Xuan’s story the most in chinese paladin 3! The way they scripted DFBB, u really can’t help but root for Qiao en and Wallace huo to be together! Even to the very end, you feel like they should be together. Gao Wen (Dilireba) from Diamon Lover is another good second lead to look out for. I love her character in that drama. >.< She appears haughty and proud but is actually kind and righteous. I really like Gao Wen interaction with Luo Jin’s character. I was low-key rooting for them but the drama had another plans. lol. I was too. their interaction was so much more fun to watch. I feel bad for Zi Xuan and Yan Zhi. Zi Huan went through a lot of thing things and she eventually had to give up on her love for Chang Qing that was devastating. Zi Lan’s rejecting Yan Zhi was so unnecessary. They made it purely for a drama that was enough in the story, there was no need to make more angst. I kind of liked Princess Do Xia from Love Lost in Time. She her fate is kind similar to Lin Yue Ru eve though she was sacrificed against her will basically and I wish she could have happy end too. Her death was kind of silly.